Deep in the Alaskan wilderness, miles from the nearest paved road, a tiny aeroplane swoops down to land gracefully by the river. A cheerful old man climbs out, dressed in shorts and slippers, almost as if he’s run down to the store for bread. This is Paul Claus, bush-pilot extraordinaire and the owner of the family-run Ultima Thule Lodge. 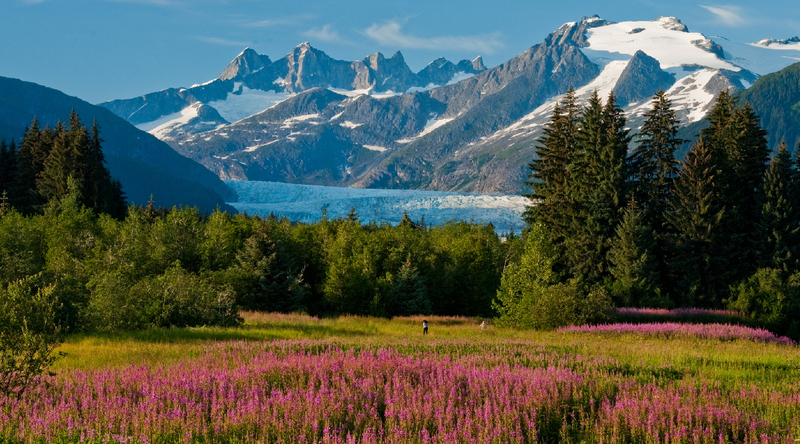 The lodge is in the heart of the Wrangell-St Elias National Park, one of the largest protected land masses in the world. It is run by the eccentric Claus family, most of whom spend more time in the air than on the ground. The family first moved into the wilderness when the US Government passed the Homestead Act extension that granted land to citizens if they settled in the 49th state. John and Eleanor were the first settlers. He was a teacher and she was a nurse, and they built their tiny cabin with the help of Eskimo friends, on a strip of land near the Chitina river where they could land their little bush plane. 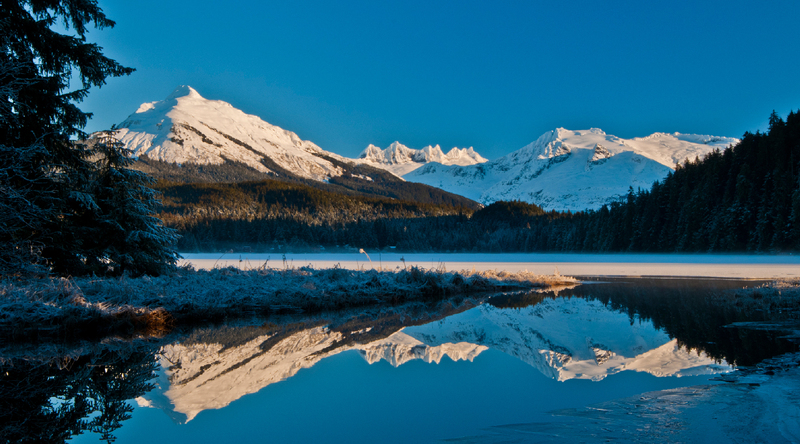 In the early years, John made ends meet by teaching at Anchorage during school terms and helping hunters track down Dall sheep when it was open season. But after Paul married Donna, they turned the family home into a high-end boutique lodge. When the weather is right, their tiny planes buzz into the clear sky, weaving through green valleys, around towering snow-capped mountains, over peppermint-blue glaciers and flocks of Dall sheep. The Super Cubs that the lodge uses are agile machines, the closest thing to having a pair of wings strapped onto your back. Tango, as they affectionately refer to their yellow Super Cub, was Paul Claus’ first aeroplane. 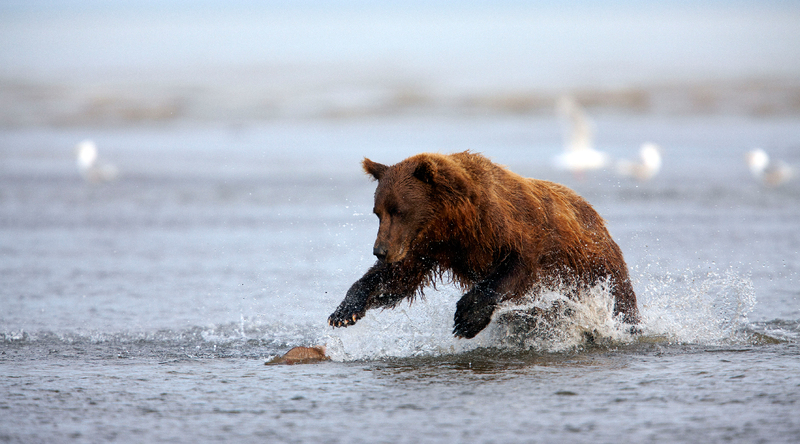 It’s even featured in the Charlton Heston starrer ‘Alaska’. 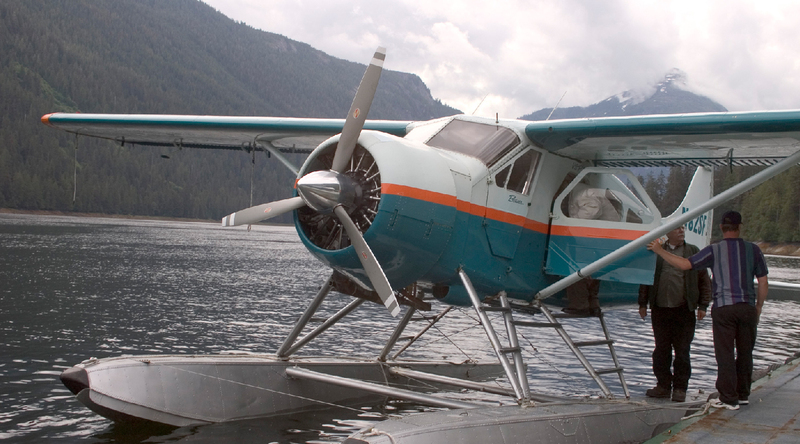 There’s also The Otter, the lodge’s workhorse that can transport up to 8 people and occasionally hauls heavy machinery and furniture from civilization back to the lodge, and the Cessna 185 that serves as the family station wagon. 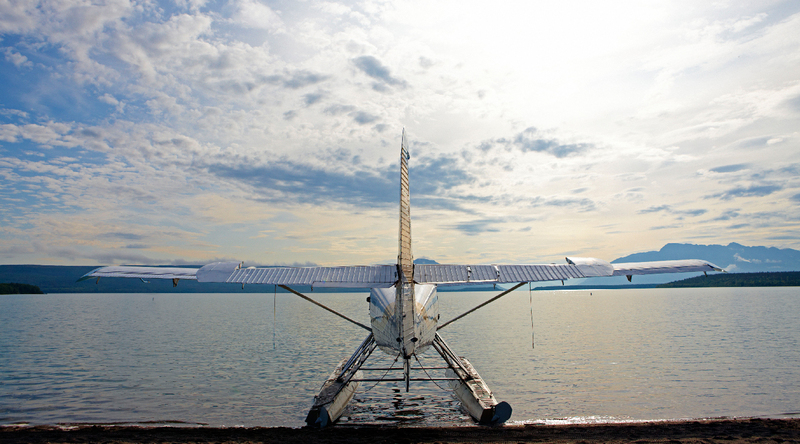 The big, soft tires of the aircraft give them the unique ability to land almost anywhere- from a somewhat flat patch on the side of a mountain, to sand bars and glaciers. Every flight ends differently, because the family lets nature dictate the adventure, and not the other way around. 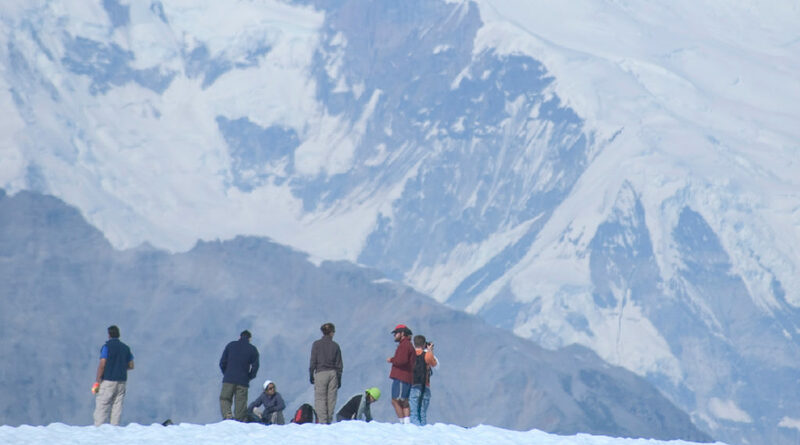 On some days, visitors land on glaciers to fish for salmon, and on others they land on mountainsides and go on hikes that have never been attempted before. Because there are so many planes available, a large group can split up and chase down different adventures. The area that the park covers is larger than Switzerland, which means that even though the family has spent decades flying there, they still find new spots to land every day. 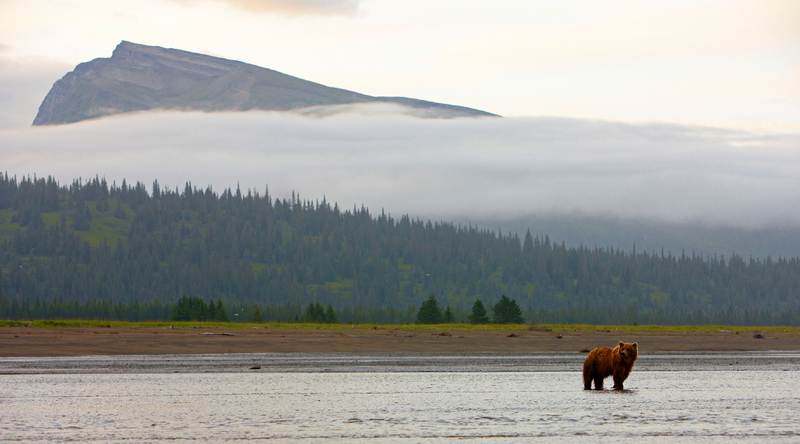 Visitors to the park fly over black bears fishing for salmon, over fields of purple flowers that grow on land razed by wildfires, over mountains veined with copper and over forests of trees the size of skyscrapers. This is a land of giants. The mountains are higher, the rivers a mile across, the glaciers massive. Every flight is an adventure. The pilots take their guests in tiny Super Cubs into the wilderness. Some nights end in remote village homestays with welcoming hosts, and some nights in tents under the stars, with the dogs watching out for bears. In a park this vast, not even the stars are a constant.